“Too often, those who live in rural areas lack access to nearby medical care, leading many patients not to seek care. My combat medical evacuation experience allows me to fully realize the need for medical air care. As a doctor, I know how dangerous it can be when conditions are left untreated and worsen. For these patients, aeromedical services is a lifeline to get the care they need. Thank you to Air Methods, MedFlight, and HealthNet for the work you do for our community,” said Congressman Brad Wenstrup. 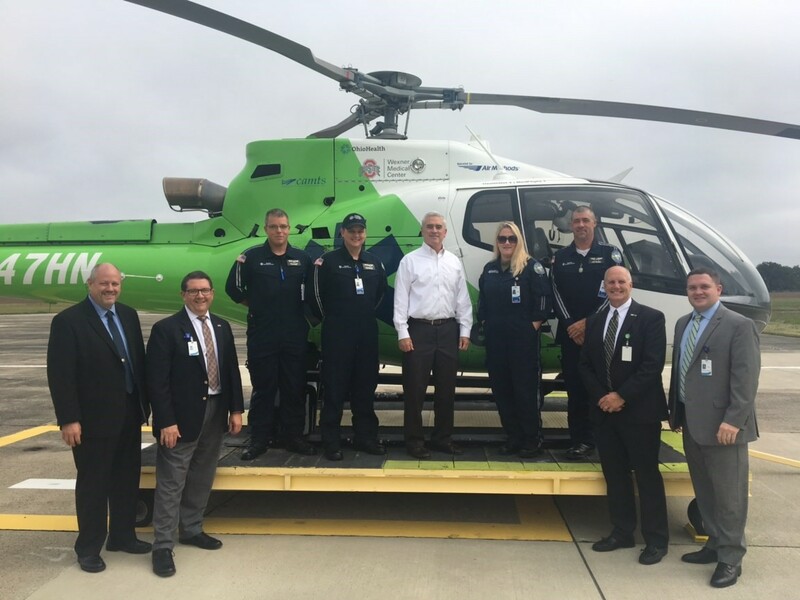 “We thank Rep. Wenstrup for his tour of the MedFlight and HealthNet Aeromedical Services air medical facilities in Portsmouth and his support of its mission to deliver emergency care to anyone, anytime and anywhere,” said David Poulsen, Vice President at Air Methods. “For many rural residents, our highly trained critical care nurses and paramedics are their only link to timely, intensive medical care. It is essential that we continue to preserve access to these life-saving air medical services.” Air Methods provides the aviation services for the MedFlight and HealthNet Aeromedical Services located in Portsmouth, OH. Congressman Wenstrup joins the Air Methods crew in Portsmouth.